The South Feather Water and Power Agency experienced flooding in their main office on Oro Quincy. The office will be closed as repairs are being made. Phone lines should be operational after 10am on Tuesday April 9th. Please call (530) 533-4578 for any assistance. For the 2018 election calendar, South Feather Water and Power Agency has three Directors who’s four year terms are ending in December 2018. For candidate statements, please refer to the last pages of the Butte County Elections page at Butte County.net. The Agency’s 2018 Appropriations Limit has been calculated at $1,023,315. Proceeds from property taxes for the Agency in 2018 are estimated to be $540,000. If the proceeds from taxes exceeded the Appropriations Limit, the excess, subject to a carry-over calculation, would have to be returned to the taxpayers. This is not the case for 2018. In an effort to reach more customers, South Feather Water and Power Agency has created this communication page. If you would like more information on the topics below, please fill out the contact information and select the categories of most interest to you. As information becomes available we will send the articles to your email address. Outage – Potable: Issues regarding water quality, planned and emergency domestic water outages. How Do I Apply for Water? impact South Feather distribution of treated water. On September 15, 2014, the bid specifications and drawings for the Lost Creek Dam Improvement Project were issued to contractors that have executed a Non-disclosure Agreement with SFWPA. To receive bid documents and supporting data, a Non-disclosure Agreement must be submitted to SFWPA Power Division Manager, Kathy Zancanella (Kzancanella@southfeather.com), no later than September 24, 2014. A Mandatory Pre-bid meeting will be held at 10am on September 29, 2014 at the SFWPA Board Room located at 2310 Oro Quincy Highway, Oroville, CA 95966. Bids will be opened on October 24, 2014. No new prime contractors will be allowed to participate in the bid process after the September 29, 2014 pre-bid meeting. Subcontractors who want to review bid documents must either execute a non-disclosure agreement with SFWPA prior to the pre-bid meeting or be added to a prime contractor’s subcontractor list. Thank you for visiting our website regarding your water quality concerns. In addition to making sure the water at our customers’ taps is safe to drink, South Feather Water and Power Agency also strives to meet customer expectations for water characteristics such as taste, odor and appearance. 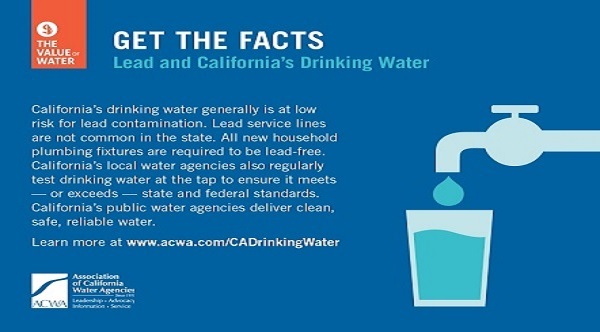 These types of aesthetic concerns in drinking water are not considered public health threats, and the source water and distribution system is frequently monitored to assure water quality standards are met. The water quality concerns of our customers is given immediate attention and considered as one of our highest priorities. We are currently experiencing a taste and odor problem that is the result of an unusually high concentration of organic matter in our source-water reservoir. We are presently importing fresh water into the reservoir to reduce the concentration of the problematic organic matter. Also, the water distribution system is being flushed extensively to provide improved water quality to our customers’ residences. Thank you for your time, attention and patience regarding this important subject. Gov. Jerry Brown has declared a drought emergency for California and has called for a 20% reduction in personal water use statewide. South Feather Water and Power Agency’s total consumptive demand in 2013 was only 33% of the anticipated yield for the 2013-14 drought-declared water year. Therefore, SFWPA is not anticipating having to impose drought contingencies, restrictions or rationing requirements on its customers. The Agency’s water storage and supply sources will continue to more than adequately meet the current and foreseeable future demand. Storage information (in acre-feet) for SFWPA’s storage facilities is posted at http://cdec.water.ca.gov. The Station ID for Little Grass Valley Reservoir is “LGV”, and the ID for Sly Creek Reservoir is “SLC.” Agency personnel send its storage report every Monday, and the data is usually posted to this website by DWR about one to two weeks after it is sent. Notwithstanding South Feather’s ample storage and supply, water conserved by Agency customers becomes available for environmental and consumptive uses in areas of the state south of SFWPA’s service area. Therefore, South Feather Water and Power Agency strongly supports the drought declaration and the statewide voluntary reduction in water use. Check every faucet in your home for leaks. Just a slow drip can waste 15 to 20 gallons each day. Fix it and you can save almost 6,000 gallons per year. Check your toilets for leaks by putting a few drops of food coloring in the tank. Watch for a few minutes to see if the color shows up in the bowl. It is not uncommon to lose up to 100 gallons per day from an invisible toilet leak. Fix it and you save more than 30,000 gallons per year. Use your water meter to detect hidden leaks. Simply turn off all taps and water-using appliances. Then check the meter after 15 minutes. If it moved, you have a leak and may need to call a plumber.